I used to love to play video games. But as you get older life has other duties and responsibilities that take up your time. You know what i’m talking about, work, family, friends, other hobbies, etc. I was able to snag a cheap PS3 and the nifty Sony 3D gaming monitor (review coming soon) for “uh hummm” $99.00 by purchasing a week before the Black Friday of 2012 craze and then going back to Best Buy for the price match. I tested out the monitor with games and a couple of 3D movies then it sat for about a little over a month unused. For Christmas one of my sons purchased Farcry 3 for me. The game was still in its packaging for about 2 weeks before I decided to open it up and give it a whirl. I’m real picky about my games. It takes a lot to get me to play a game let alone finish it. The content and playability in Farcry 3 brought me back to the days of yore when games I played like Zelda, Resident Evil, and FFVII. 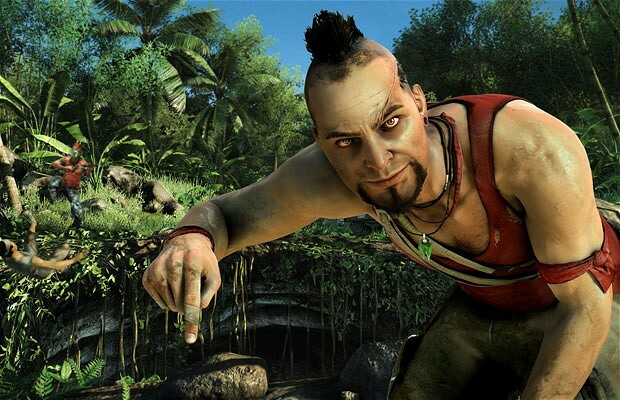 Far Cry 3 fed that need of completion based on its addictiveness, challenge, and great story. Ubisoft has definitely out done themselves with this game. A brief rundown on the game without giving away too much puts you in the role of Jason Brody. Jason and his close friends are adventure seekers and have taken a vacation in a small island paradise. Or, so they think. As you live it up partying, thrill seeking and such, being at the wrong place at the wrong time after a skydiving landing begins the start of your adventure. 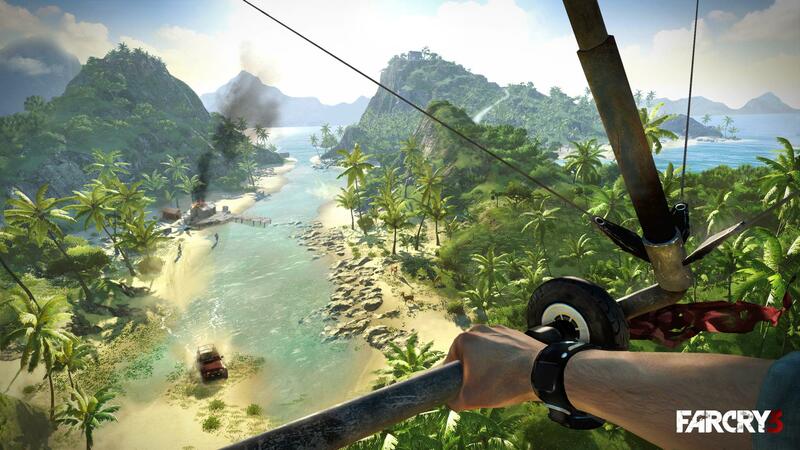 Your friends are kidnapped and your goal is to rescue your friends and get off the island. 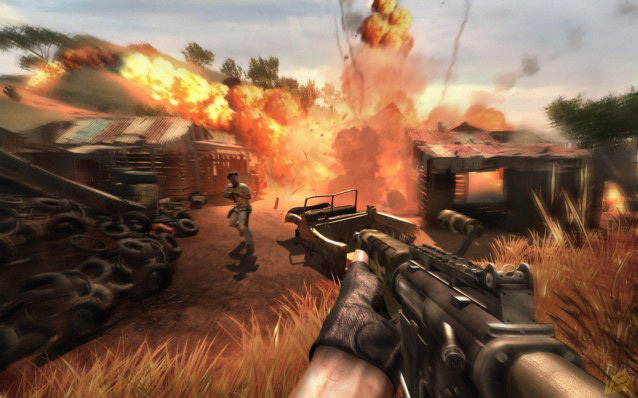 You will encounter many different aspects of this game even though it’s a first person shooter format. You will meet people who will help you throughout the game as long as you perform tasks for them. You will have to hunt, craft, learn skills, destroy, kill, skin animals, and follow a deep storyline. The maps in this game are also huge leaving you with plenty to do even after completion of the game. This game also has a multiplayer mode, which I tried once. Yes, I said once, the story is that good in this game. What I love about this game…..everything. 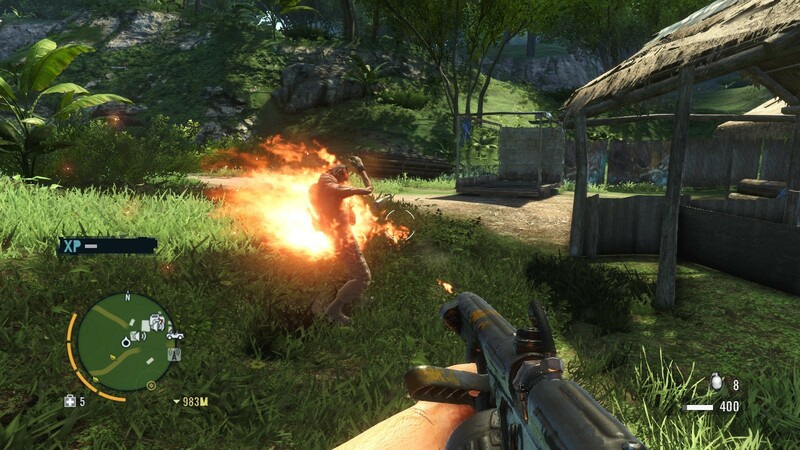 I have never played any of the previous Farcry’s as I was a Call of Duty whore. To tell you the truth Black Ops two still sits in its case. Actually all of the games I currently have still sit there. 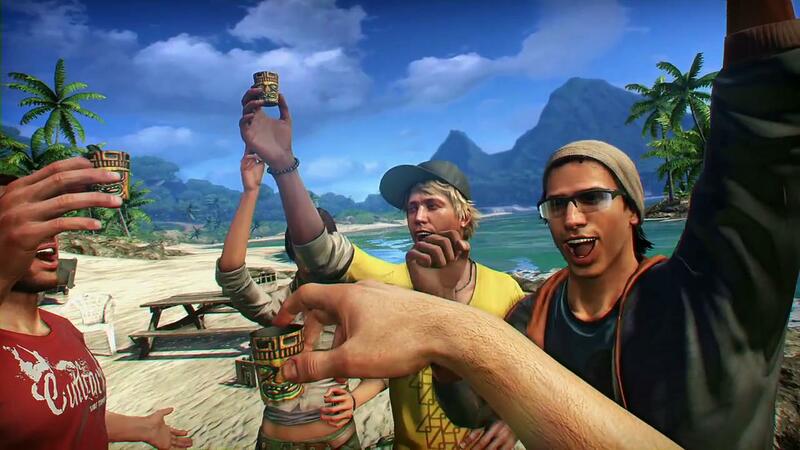 Farcry 3 trumps them all. One minute you’re on a mission to blow up a gasoline plant. But hey along the way I can hunt sharks, bears, or tigers so that I can craft items to carry more money, ammo, supplies, etc. See a bird; try taking him out with your bow and arrow or RPG. A faction is growing a field of Marijuana and you want your faction to take over. I’ll just whip out my handy flamethrower and burn it all up. 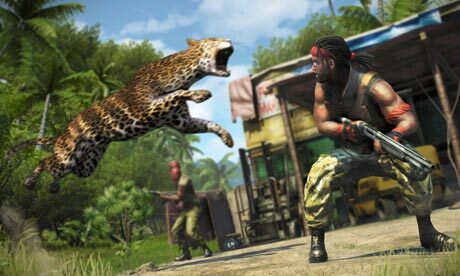 Want to take over a camp but there are too many individuals, I’ll just snipe open the Leopard cage and have him do the work for me, take out the remaining members, kill the leopard, skin it, relieve the dead pockets of their contents, and take their vehicles such as jeeps, hand gliders, ATVs, jet skis, boats, etc. The beauty of this game, the player is not tied down to a mission. You can choose to do missions, hunt, craft, take over radio towers and camps, there is no set path, run around all over the place, the game allows you to do as you please. The possibilities are endless and that’s what makes this game friggin great. As far as game play. It’s awesome. 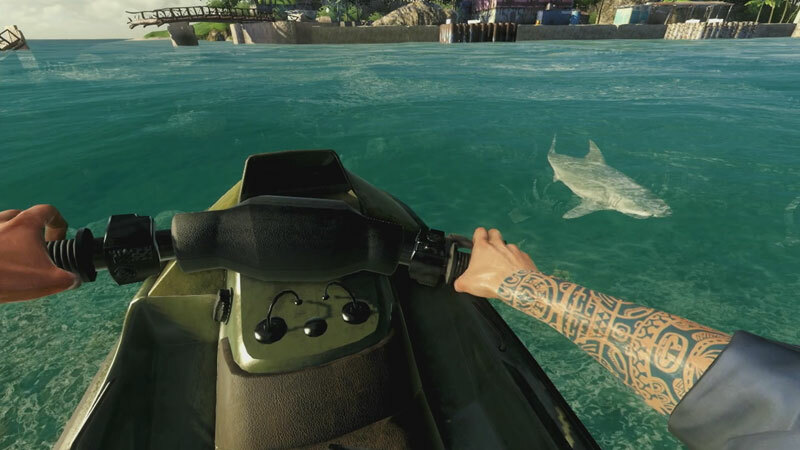 The game moves extremely fluid and the graphics are top notch. Just watching the grass blow in the breeze is eye catching. You will come across glitches rarely but everything else makes up for it. Driving a jeep or ATV, listen to how shrubs and twigs snap and break as you choose to drive through them rather than staying on the road in true game 4X4 style. Flying the hand glider or the squirrel suit unveils spectacular views, sounds, and lifelike control. Driving a boat or Jet ski you can feel the waves beating against the machine. All the driving physics are on point. The AI on the game is decent too. As you lay down in cover crawling thru the grass to take out a faction leader, throw a rock to make them turn around then take them out from behind without making noise. 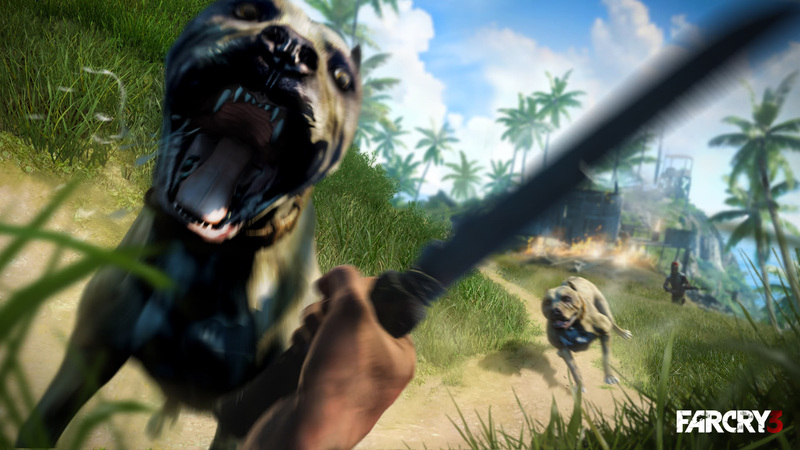 I’ve had instances where factions were chasing me and I run through a group of Komodo Dragons and suddenly the focus is taken off of me and on the beast. Its these little things that make the game a must buy. 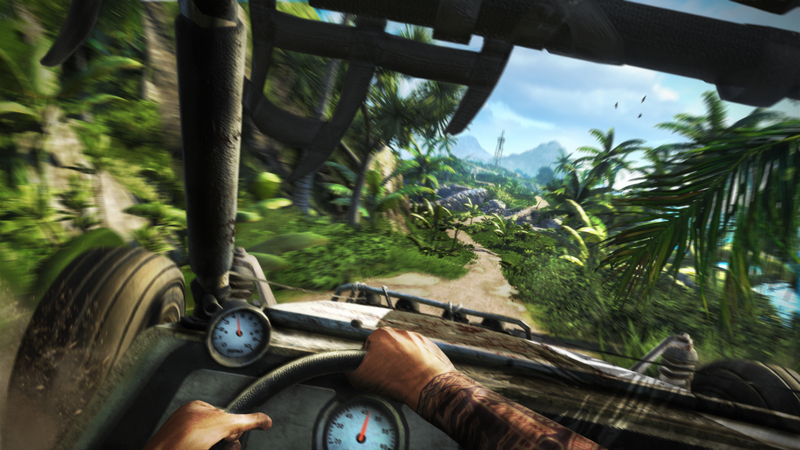 Along with a killer story that makes you want to watch and not skip through solidifies the grandeur of Farcry 3. 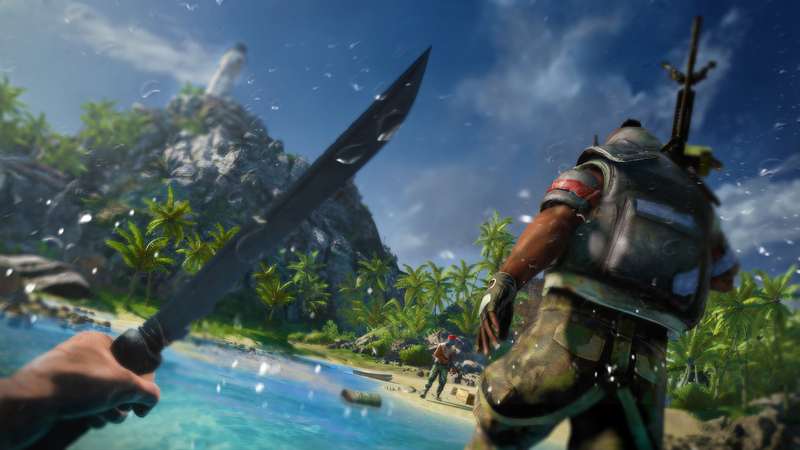 If you’re a fan of first person shooters, and don’t have the time to devote to a weak game pick up Farcry 3. You won’t be disappointed. On a side note, if this is what the PS3 is pushing out capability wise i’m excited to see what the Playstation 4 will have to offer.